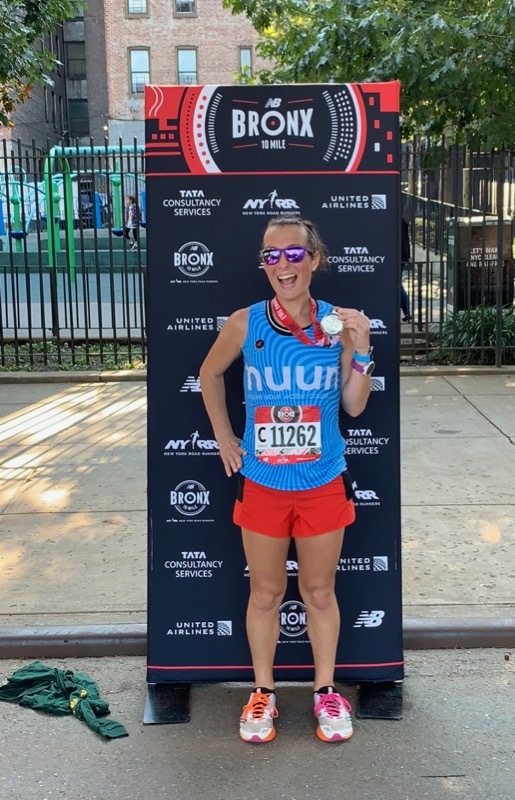 My second year running the NYRR Bronx 10 Mile race and, while I didn’t blog about it last year, it’s been a while since I’ve put anything up here so I figured why not give you a short little recap? Let’s do it! 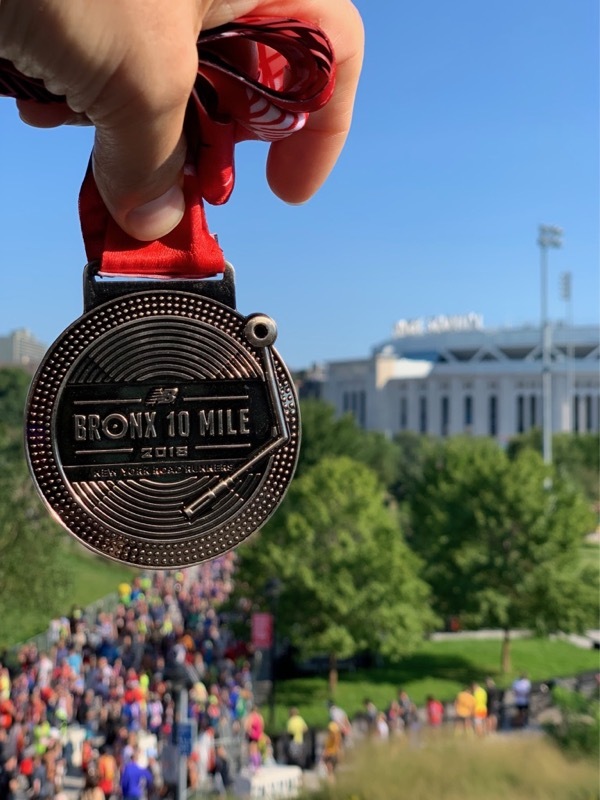 The Bronx 10 Mile is part of New York Road Runners’ Five-Borough Series which features races covering, you guessed it, all five NYC boroughs. 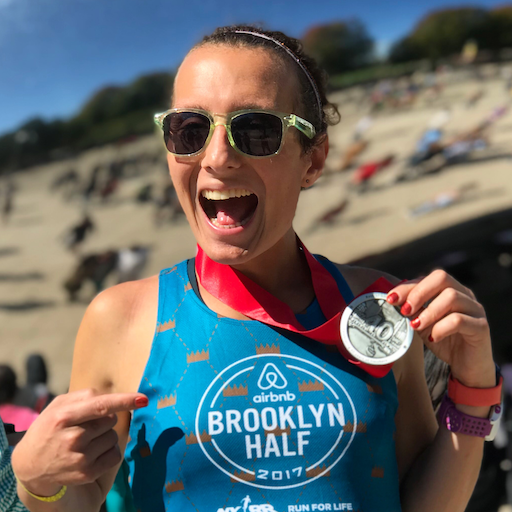 One of my goals this year was to run each of the borough namesake races—Manhattan Half (which is not part of the Five-Borough series), Brooklyn Half Marathon, Queens 10k, Bronx 10 Mile, and Staten Island Half. Next weekend, I’ll be finishing up this goal in Staten Island! The course for this race is mostly an out-and-back going up and then back down the Bronx’s Grand Concourse. It starts right near Yankee Stadium (🙄) and passes Paradise Theater and the Edgar Allan Poe Cottage. It’s a pretty straight course with only five turns, but it’s constant rolling hills. If you’re a regular runner in Central Park, this probably feels normal, but my regular running routes are all flat as can be. On the plus side of things, though, the race does end on a nice big downhill for a fast finish. I had 17 miles on the schedule for the day and decided it’d be best to do my extra miles beforehand, as that usually works out better for me. Working out the best way to do this was a little difficult, though, as there was no easy way to hit seven miles while finishing at the start of the race. Plus, last year, when I did ten miles beforehand, I ended up having a little trouble remembering all of my turns and missed a few. 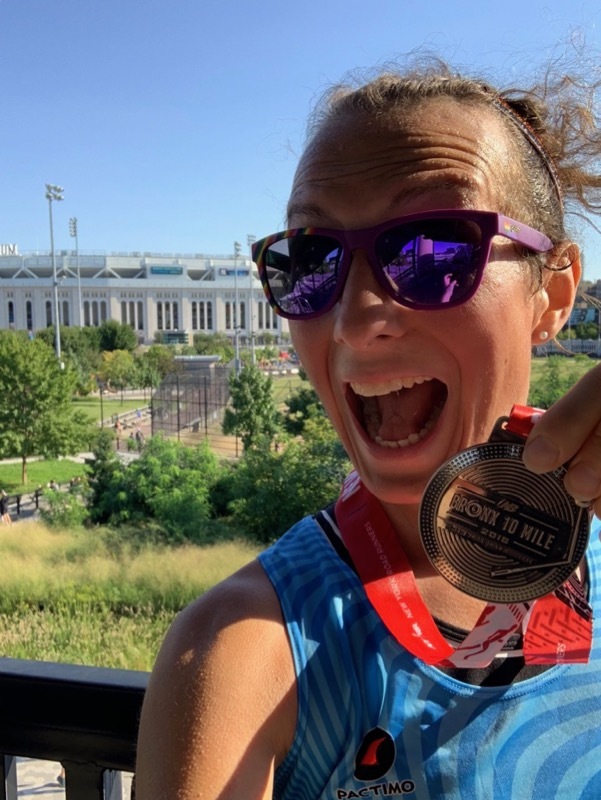 This year, I opted to run from the World Trade Center up the West Side Highway and to Columbus Circle for six miles and then take the subway the rest of the way. After getting to the start of the race, I did another 0.7 miles to warm back up. Pre-race had a little extra fanfare because some celebration of Peter Ciaccia, NYRR’s President, Events and TCS New York City Marathon Race Director, who is retiring after the last finisher of the NYC Marathon this year. Peter has always been a wonderful part of the NYRR experience so I’ll be sad to see him go. Once the race got started, I tried to keep things relatively easy, as this was still part of my long run. I ended up at a pretty decent clip that was near the faster end of how I run my long runs, but I felt comfortable. The hills annoyed me early, though. And because it’s an out-and-back, you can sort of track what the hills will be like on the way back, as well. My pace started creeping faster as the early miles ticked off and I tried to pull back a little, but my legs were locked into drive mode. 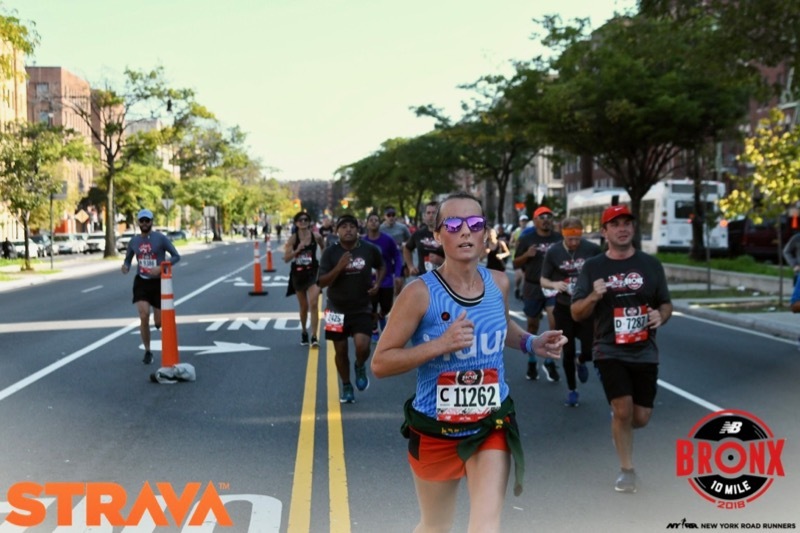 As we came into the first turn just before mile four, I was getting closer to a more race pace, but didn’t feel like I was running a race pace. Mile five ended up being a 7:34 which would be just slightly slower than I’d probably be racing a 10-miler at. But oddly, mile six was much slower. After hitting the 3rd turn, I seemed to find a rhythm that I just locked into and ran miles 7-9 all at 7:39. 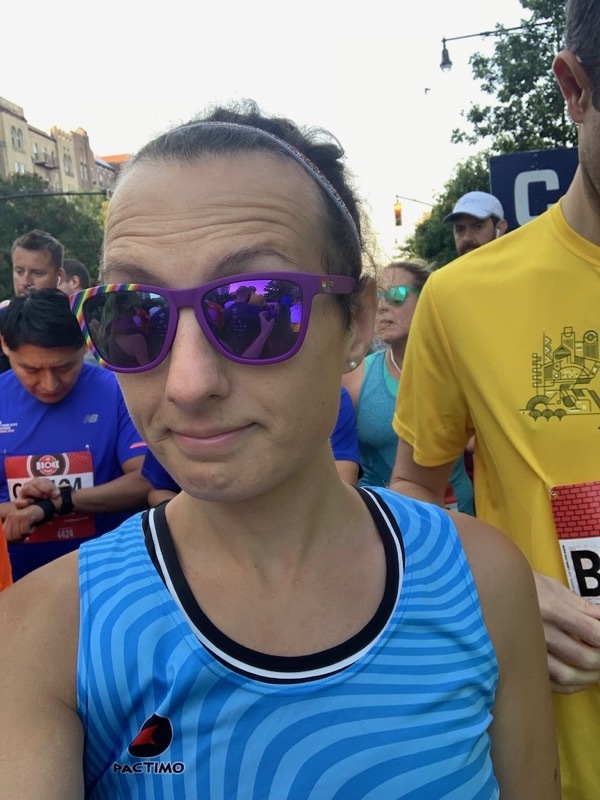 While making our way back down the Grand Concourse, I was getting tired and I knew I was running closer to a race pace than planned, but I still just didn’t feel like I was running hard at all. I knew I was driving a little, but it didn’t feel like I was pushing. I’m going to go ahead and say this was probably because of the cooler weather. Last year’s race was super hot and humid and this race couldn’t have been more different. It was cool and comfortable. Coming down the Grand Concourse, I looked for each mile marker, even the ones on the other side for the first half of the race. Thanks to how the middle turnaround miles were laid out, the mile markers between the first and second half were staggered almost exactly half a mile which made the mental stuff really easy. I hit the last mile and just locked in to the finish. I knew there was a big downhill and I was done for the day, so I gave a little extra. As I made the last turn and hit that downhill, I debated how much to push and what my quads were going to allow me to do. I wasn’t going to go too hard, at first, but I let myself get sucked into the energy of the runners around me. I ended up finishing mile ten with a 7:12 mile and crossed the finish at 1:18:33. Better than last year’s shitshow.